When it comes to estate planning, many people tend to think of their assets first. The best approach, however, is to place family needs and basic principles above all. Your estate plan should reflect and implement your core beliefs. To act otherwise is to invite disappointment and dissension. A comprehensive estate plan establishes who will receive your assets after your death and when and how such transfers should occur. The timing and structure of such transfers and distributions of assets are often just as important as the identities of the assets and their intended recipients. 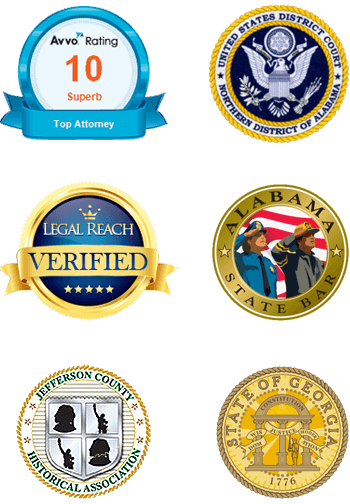 Powers of attorney grant authority while you remain alive to those you might need to speak for you if you are injured, ill, or faltering. An advance medical directive gives an appointed individual the authority to make medical decisions on your behalf if you become incapacitated, such as releasing medical records or authorizing medical treatment. The advance medical directive (sometimes called a “living will” though not technically a will) can also enumerate your wishes for end-of-life treatment should you become unconscious or in a terminal state. A financial power of attorney gives an appointed individual the authority to handle all your financial affairs, such as making bank deposits and withdrawals, paying bills, filing tax returns, and making investments. Wills go into effect at death and govern the distribution of property in your probated estate, but not those assets outside of the probated estate. Trusts are vehicles for allocating assets to heirs who are not ready or able to receive them and can be made effective before or after death. Inter vivos trusts can be created to transfer assets or take care of relatives outside of your will. Executory trusts can be created under your will to control specific assets for an heir’s benefit. Deeds for real estate can be conveyed to place properties out of the probated estate and directly into the hands of a specific heir. Many assets such as investment accounts and life insurance are contractual in nature and not usually governed by the documents described above. Actions and potential actions by creditors against a particular heir. Keep in mind that the beneficiaries named on insurance policies, retirement plans, and investment accounts should complement the priorities established in all your estate planning documents. If you have any minor children or financially irresponsible adult children, consider creating trusts to address their particular circumstances instead of overwhelming them with an unrestricted inheritance. If you have a loved one with long-term healthcare needs, appropriate provisions should also be made. The appointments of those granted powers of attorney, representation, executorship, agency, trusteeship, conservatorship, and guardianship are crucial to fulfilling the intents of the estate plan. You need to be thoughtful and decisive in making these appointments because they often involve very tough choices. While you are alive, a proper estate plan can help you avoid living probate in case you become incapacitated. Upon your death, on the other hand, an estate plan can allow you to properly direct your assets to your family members and protect them from predators and creditors. Comprehensive estate planning requires consultation with a knowledgeable attorney. For the competent handling of your estate planning needs, call James B. Griffin, LLC at (205) 502-2199 today.